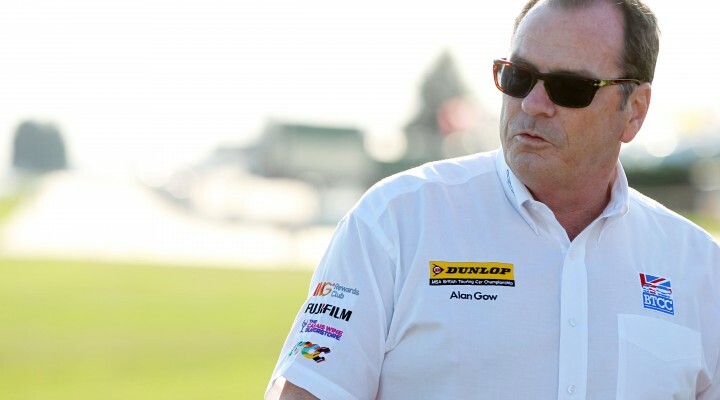 After a thrilling first half of the 2015 Dunlop MSA British Touring Car Championship, btcc.net sat down with Series Director Alan Gow to get his perspective on the action so far and to look ahead to the five events to come. “Quite obviously the changes we brought in at the beginning of the season are working very well. “The proof is in the standings; at this stage last year the top half dozen championship contenders were covered by more than 100 points – this year they are covered by just 36 points so very clearly the changes have closed the competition up and provided opportunities to drivers and teams that probably didn’t have them before. “The championship will continue to ebb and flow over the course of the second half. We will go to circuits where some are more suited to particular cars and drivers, and others that are not so much. And that’s exactly how it should be. “Every circuit we go to now will throw up lots of differences. You have Snetterton which is fast and long, then Knockhill which is the exact opposite – short and twisty by comparison. Then Rockingham with the mix of very technical infield sections and the half oval and Silverstone and Brands Hatch which are both hugely different to each other with the differing configurations we use at each. “To a certain extent the drivers have got to be consistent, but they certainly can’t just sit back and clock up points….not with it being this close and competitive. They’ve got to go for the win when they can, and can’t just afford to sit back and go ‘aahh well I will settle for 7 points today’ – they can’t do that because you just don’t know what will happen in the next race, as we have seen so often. “Look at how many times there has been a championship leader or championship contenders who have encountered a problem in the next race or event. Considering there is 15 points for a win, it doesn’t take much for one good or bad race to turn their championship around or upside down.